Sometimes I have an idea for a blog which gets put off because it is too painful to write. 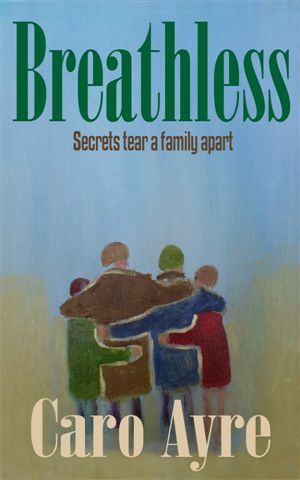 My latest book, Breathless, is a novel about a family coping with the strains of everyday life, including dealing with Cystic Fibrosis. I have angled the book more at how the family are coping or in some cases not coping with this condition. My aim was to help people understand some of the issues that have to be dealt with on a long term basis. During my research I came across some very inspiring people who have answered my questions. I have been drawn into their lives. And because of that it hurts me to hear when one of them is going through a particularly bad time. It is for this reason that I am donating £1 or $1 per copy sold to Cystic Fibrosis Trust, whether on Kindle, paperback or any other format. Cystic fibrosis is a lifelong challenge, and I’d like to make a difference. Click here to find out more including reader comments. Breathless is available as a paperback from Amazon.co.uk and Amazon.com or as a Kindle eBook from Amazon.co.uk and Amazon.com. Previous Previous post: Getting geared up for the next book.